PEACE OF MIND BUSINESS CONTINUITY – NEXT BUSINESS DAY! Advanced Replacement (AREP) protection should be quoted to you with any request for Enable-IT products. However, if you do not see AREP on your quote, please ask to purchase AREP protection for each of your products. 1) Customer diagnoses a product to be defective, customer fills out a Required Support Ticket at support.enableit.com. For troubleshooting assistance, please call (888) 309-0910 Toll Free or +1(702) 924-0402 International customers. AREP Customer provides the serial number and Advanced Replacement (AREP) number found on stickers attached to the underside of the product. If Enable-IT Customer Care determines that a replacement product is necessary, and these numbers are registered properly, an AREP RMA will be created. 2) AREP customer will receive the AREP Authorization Form with a credit card authorization required for replacement security if original kit is not returned within 10 days before the AREP RMA is shipped. 3) Enable-IT Customer Care has the Advanced Replacement or AREP refurbished unit to the customer for Overnight Next Business Day Delivery. 4) Customer receives the AREP replacement unit and promptly ships the defective unit (matching the serial number provided to Enable-IT) with the Enable-IT provided return shipping label. If the completed AREP request is received by 4pm Pacific Time, Enable-IT will ship the advanced replacement unit the same day. Enable-IT will make every effort to ship requests received after this time on the same day, however will guarantee to ship the unit on the second business day. The AREP RMA number must be issued by email before shipment of the replacement. Enable-IT will only ship properly working replacement units. Enable-IT will prepay both ways shipping cost in advance. The advanced replacement unit will be shipped by air (ship by ground if overnight service shipment does not apply) and return to Enable-IT waybill will be provided as “ground” shipping. Customer must provide full detail in the RMA request to minimize processing time, such as invoice number, defective unit serial number, shipping address, contact person, defective unit problem description, etc. Customer must return the defective units within fifteen (15) days from the day of AREP shipment to customer by using the pre-printed return ship label created that same day. Customer must ship the defective unit back to Enable-IT in the packaging provided with the replacement unit. If packaging is damaged during shipping, customer must provide its own proper packaging to ensure a safe shipment to Enable-IT. It is customer’s responsibility to remove all old shipping waybill, air shipping label from original packaging and affix new shipping label and waybill provided by Enable-IT on the outside of the box. Failure to do so will mean any extra shipping cost or lost unit will be charged to the customer’s credit card or account. Customer must return all components and accessories related to the defective unit to Enable-IT. 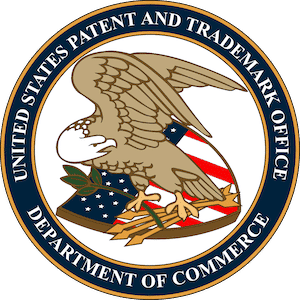 If any defect in the products or part were caused by misuse, neglect, accident, abuse, improper repair, alteration or modification by Customer, or any act in violation of the original selling conditions of the product by manufacturer, the product is considered to be a Customer Induced Damage Unit (CID). 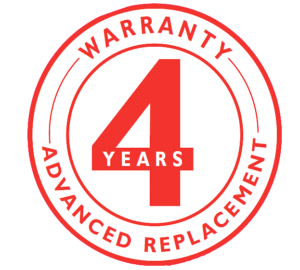 Since the warranty has been voided by Customer’s actions, AREP cannot apply and Customer’s account or credit card will be charged the MSRP value of the replacement product shipped and the Customer’s original warranty will be reinstated. If customer fails to return the unit within fifteen (15) days from the day of AREP shipment to customer, Enable-IT will charge the customer’s account or credit card for the AREP unit MSRP.. This charge is not refundable unless the customer can provide Proof of Delivery (POD) that indicates customer did return the unit on time. Please contact our Customer Care Team at 888-309-0910 or +1 (702) 924-0402 for AREP pricing on qualifying products. Customer must report an AREP RMA claim to Enable-IT and obtain an AREP RMA number and qualify to receive replacement product. Customer must use the shipping label provided by Enable-IT. Enable-IT is not responsible for any shipping costs incurred by the Customer using other means of shipping. Enable-IT is not responsible for return freight charges resulting from invalid or expired RMA shipments. Enable-IT is not responsible for lost or damaged returned product packages. Enable-IT ships AREP Replacement kits via UPS Overnight per this agreement. P.O. Box addresses are NOT accepted for AREP returns. You must provide Enable-IT with a physical address. Enable-IT’s sole liability, and the exclusive remedy, for any acknowledged defect(s) shall be the repair or replacement of the product in question with equal or like functionality. Enable-IT does not offer refunds, credits or upgrades. Enable-IT shall NOT be liable under ANY circumstances for any indirect, incidental or consequential damages or lost data. Warranty and AREP is available only to the original purchaser. AREP RMA numbers are valid for 15 days after issue date. Enable-IT must receive your original product within this time period. Any product received later than 15 days from date of AREP RMA issue, will be returned to sender.